This is only a partial list, but it’s clear that it is an impressive one. So why are omega-3s not enough? Well until very recently, a bullet point that would have been at the top of that list was “fights heart disease.” But recent studies have uncovered the truth: omega-3s provide little direct impact on heart health. You see, for many years, scientists studied certain cultures that had very low rates of heart disease. What they found many of these people had in common (like the Japanese and Eskimos) was they ate a lot of fish. And so, it was assumed that the omega-3s in these fish (think salmon, tuna, and herring) were the reason for the healthy hearts. But when scientists then studied heart disease in people who took omega-3 supplements, their findings were very different. Based on a lot of data, they concluded that omega-3 fatty acids had no significant association with fatal or nonfatal coronary heart disease or any major vascular events. What Else Was in Those Fish? But what about all of those people around the world who ate a lot of fish and had no incidents of heart disease? Was there something else in the fish that was responsible for those benefits? It turns out there was something… another omega fatty acid called palmitoleic acid, or omega-7. Just how beneficial is omega-7? Well, this fat molecule is so important Harvard Medical School has applied for a patent on it! What’s so special about this particular omega-7? Elevated glucose and insulin resistance. Lipid disturbances (high triglycerides and low HDL cholesterol). Omega-7 is so powerful it can reduce the risk of developing type II diabetes, prevent the buildup of atherosclerotic plaque, increase beneficial HDL and lower an inflammation marker called C-reactive protein, which is associated with an increased risk for heart attack and stroke. Guess how many prescription drugs you’d have to take to accomplish all of those benefits. But jut one fatty acid does it and does it far more safely. Omega-7 Heart Healthy? You Bet! Human data on omega-7’s cardiovascular benefits is impressive. In a pilot trial of adults with high levels of C-reactive protein (the blood marker of inflammation we mentioned earlier), researchers found that supplementing with just 210 mg a day of omega-7 resulted in a whopping 73% decrease of C-reactive protein. Those results were extended in a larger, randomized clinical trial, in which all patients had abnormally high CRP levels (greater than 3 mg/dL). After just 30 days of supplementing with 210 mg of omega-7, there was a 43% reduction in dangerous cardiovascular markers. The health implications of this marked reduction in C-reactive protein are profound, especially in abdominally-obese individuals who often exhibit dangerously elevated levels of this inflammatory indicator (CRP). So, what is the best way to get omega-7 into your diet? There are natural food sources of omega-7, but they are not all the same. For instance, macadamia nuts and the berries from the sea buckthorn plant contain palmitoleic acid. But they also contain very high levels of something called palmitic acid, a very different compound. 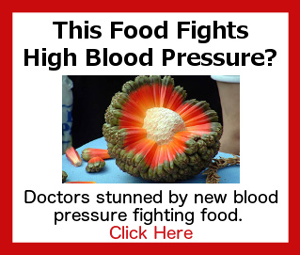 Palmitic acid is a thick and gooey palm oil and consuming too much of it can raise your risk of heart attack, stroke, and other cardiovascular catastrophes by increasing arterial stiffness, triggering abnormal platelet clumping, and raising dangerous LDL cholesterol levels. That is the exact opposite of what you want to be doing! As we mentioned, omega-7 is also found in certain fatty fish like salmon, tuna and anchovy. But you would have to eat fish pretty much every day of your life to reap the same benefits as the Inuit and Japanese cultures. Finally, a Complete Omega Supplement! Do a search for omega supplements and you’ll find hundreds, if not thousands, of offerings. Besides being less than pure or potent, the majority will only contain omega-3. But, as we’ve just learned, without omega-7, that supplement is incomplete. 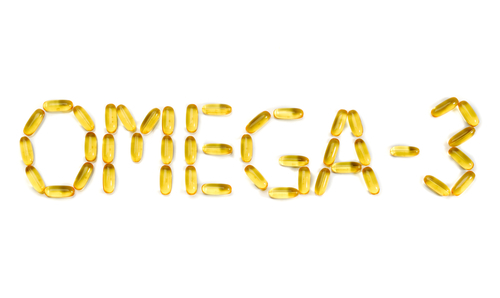 Introducing DuOmega 3&7, the most complete fish oil available. It contains Omega 7s from Provinal (the best-studied Omega 7s on the planet) and Omega 3s from Incromega (ultra-purified using their patented “PureMax” technology). All without the contaminants, impurities, or fishy taste / smell you might expect. If you want to take care of your entire body, including your heart — Click Here to find out more about how DuOmega 3&7 can help you. I will read all articles. I am very much interested. I'm all for improving health. Are Low Salt Diets Bad for Our Health?